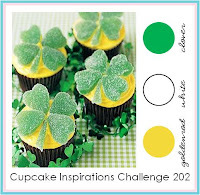 It's time for this week's Cupcake Inspirations Challenge and of course I wanted to share some St. Patrick's Day love with you. This week we are sponsored by Fresh Brewed. Isn't this an adorable St. Patrick's Day Image? I colored my image with Copic markers and then cut it into three sections. 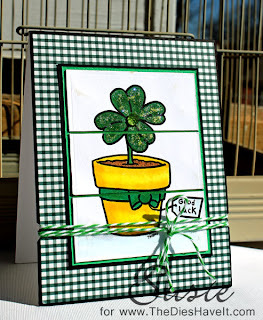 I left a sliver of space between the sections when mounting each of them to the green cardstock. Just a fun little change of pace for me. 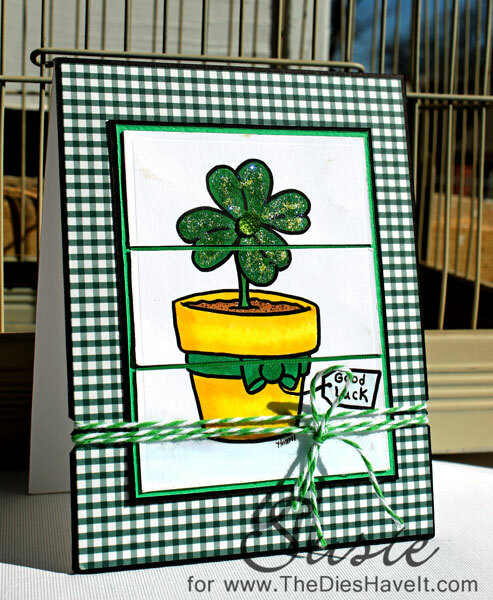 Baker's twine and some Stickles finished off the card for me. If you would like to play along with us this week, just click right here for the link.